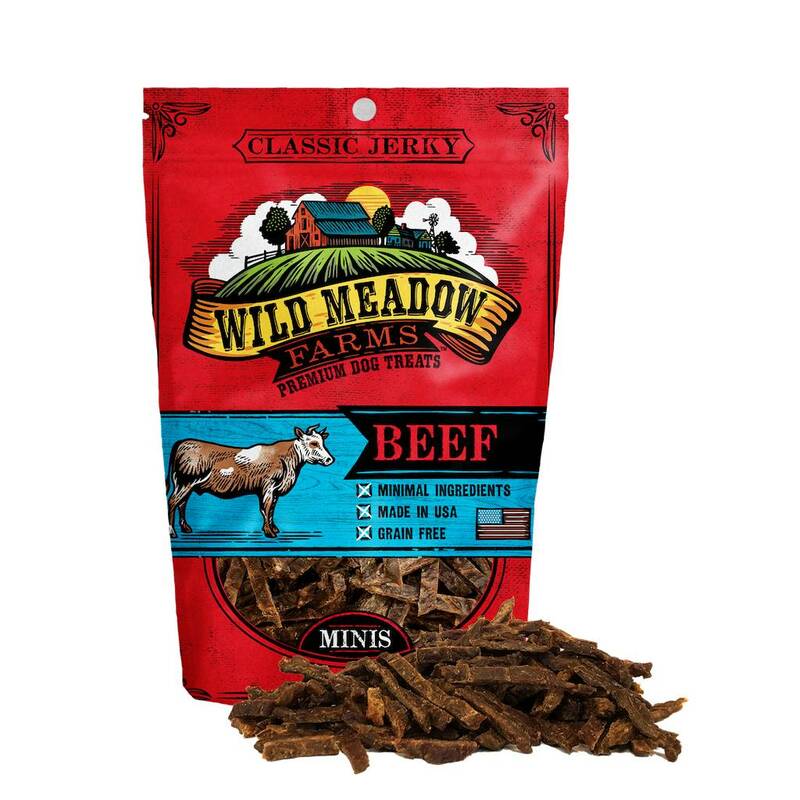 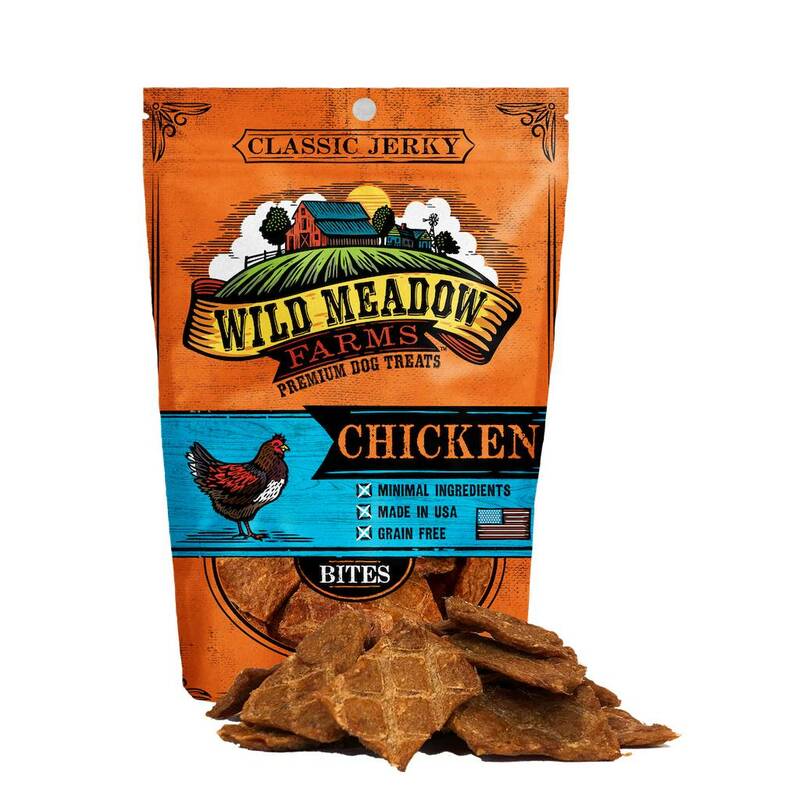 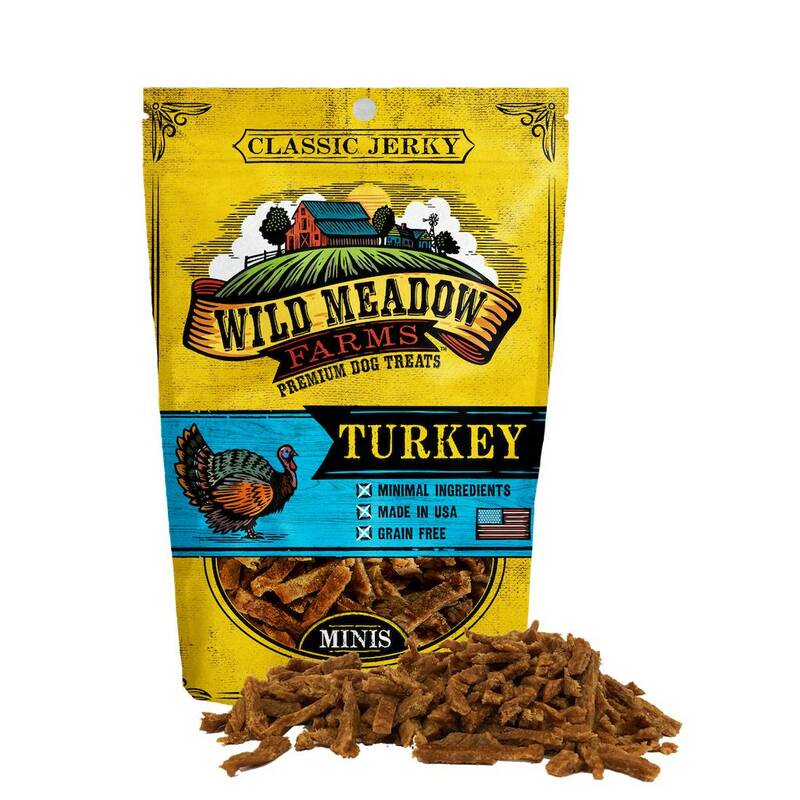 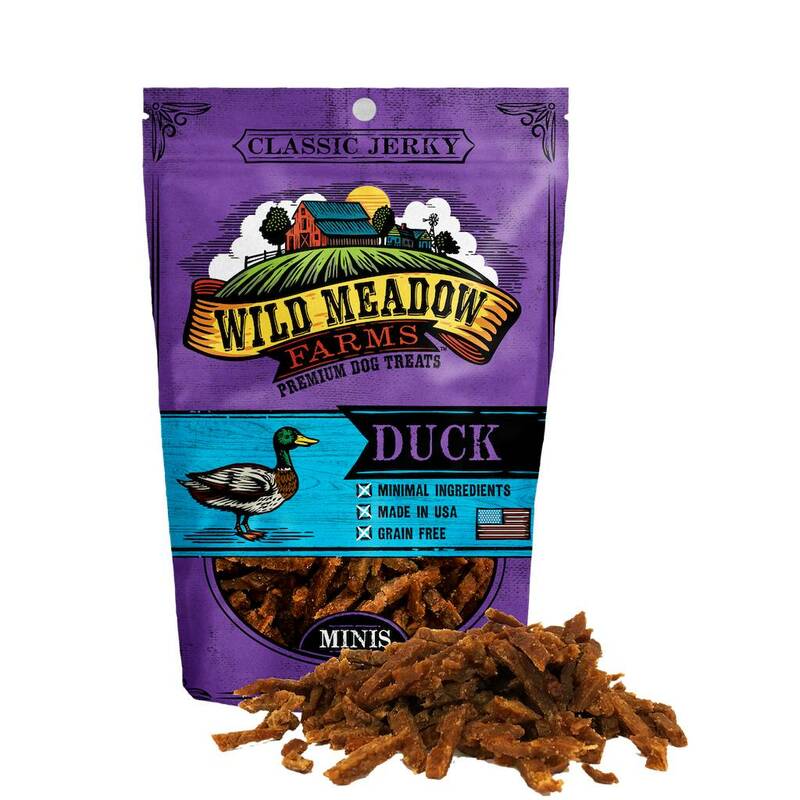 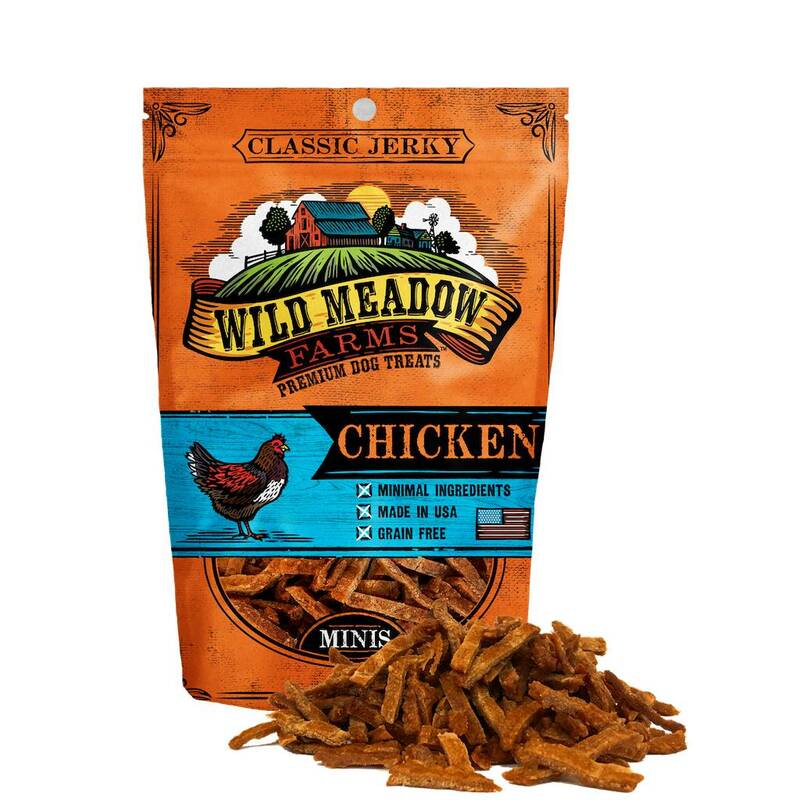 Wild Meadow Farms dog treats contain NO grains, fillers, corn, sugar, salt, soy, or animal by-products. 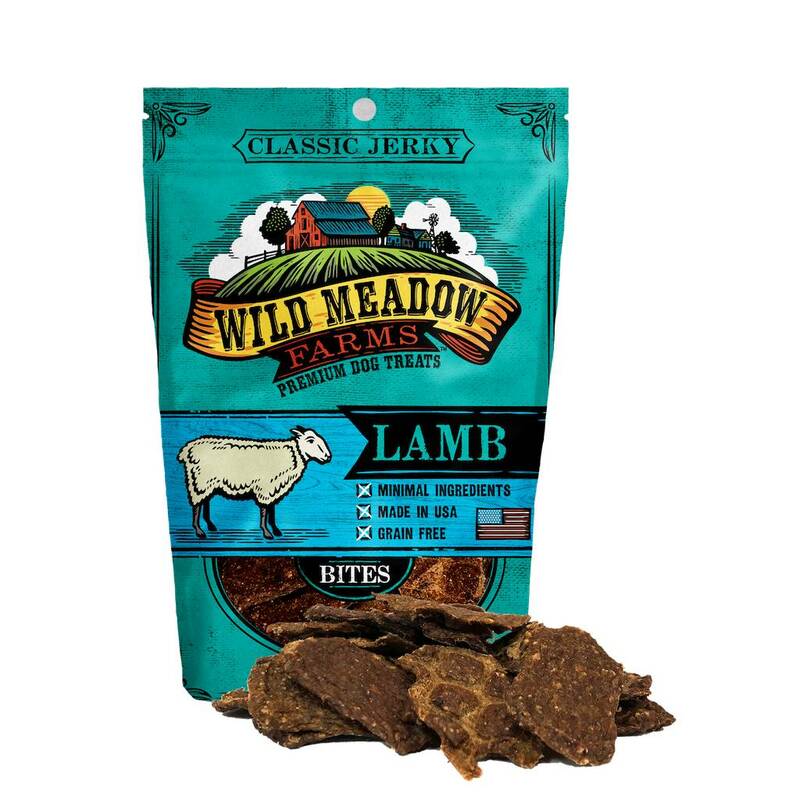 Our treats do contain all U.S.A. raised and sourced ingredients. We are very serious about quality and therefore all of our dog treats are minimally processed in a USDA facility consistent with regulations developed by USDA, HACCP (Hazard Analysis and Critical Control Points), and SQF (Safe Quality Foods Program). Not just the production of the treats is important to us, but also the bags in which they are packaged. 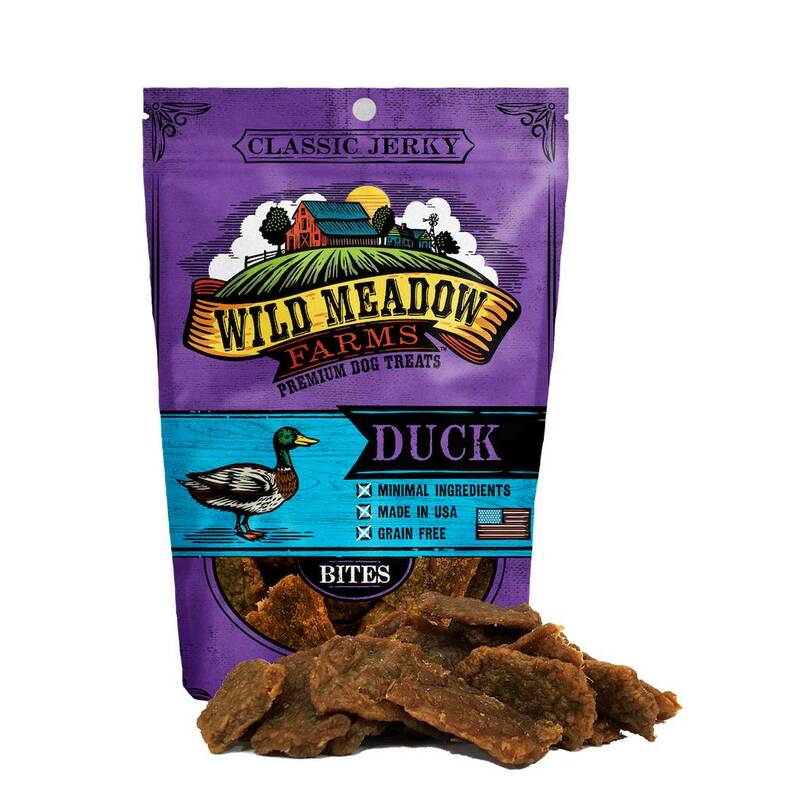 All of our bags are printed in the U.S.A. with all U.S.A. materials. 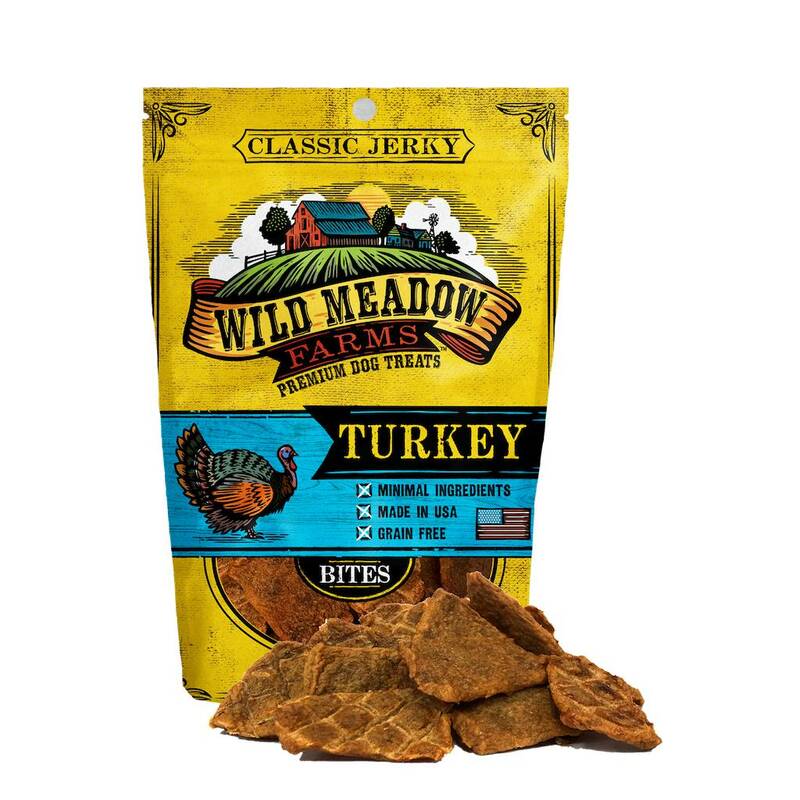 Ingredients: U.S.A. Cage-free Turkey, All-natural Vegetable Glycerin, Potassium Sorbate. 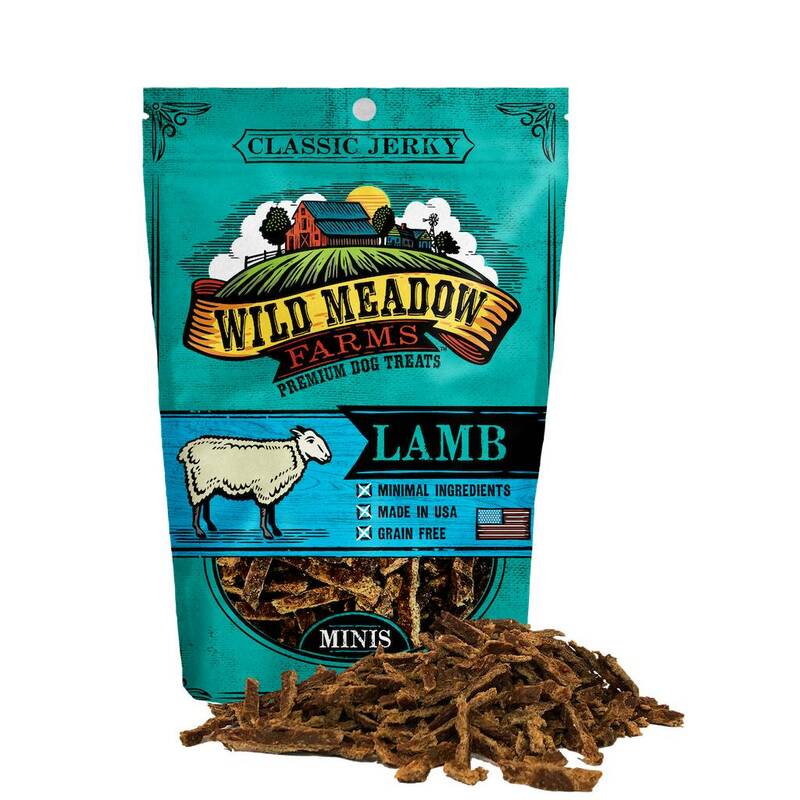 Ingredients: Lamb, Vegetable Glycerin, Mixed Tocopherols (preservative).